You girls know the daily skin care routine right? CLEANSE > LOTION > MOISTURIZER > SUNSCREEN. It means that cleansing is the most important steps in the daily routine because if you didn't cleanse your skin well then how your skin will absorb the essence of the skin care later? Just imagine after you makeup and you didn't cleanse your skin 100%, this also explained why your acne are getting bigger and worse. 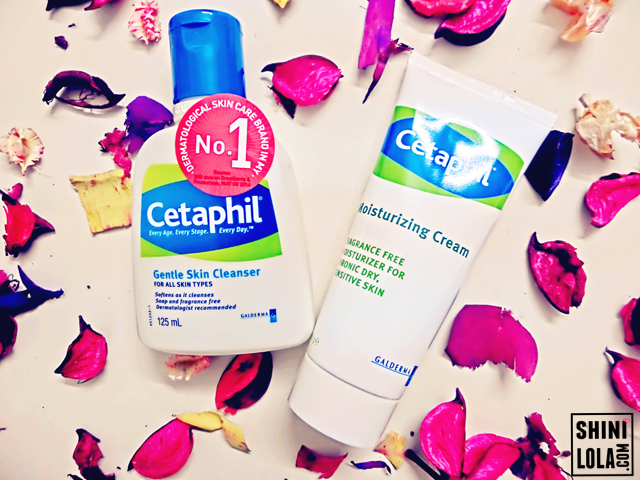 Cetaphil's latest cleansers and moisturizers combat skin irritation and keep skin silky smooth. Its gentle formula is ideal for newborns and young children who have delicate skin. Well, we all know a baby's skin may be smooth and soft, but it is also very sensitive and prone to irritation as it is thinner and more fragile. Thus, using a proper cleanser for bathing neonatal and infant skin is of prime importance considering the anatomical differences with adult skin. In addition, the cleansing of neonate and infant skin requires careful attention as paediatric skin differs from adult skin in several important ways. For instance, the thickness of infant skin is 40-60% that of adult skin, underlying the need to choose a gentle skin cleansing and moisturizing regime to protect and improve the skin barrier function in infants and young children. The texture for the cleanser was transparent and something like gel but not sticky at all. 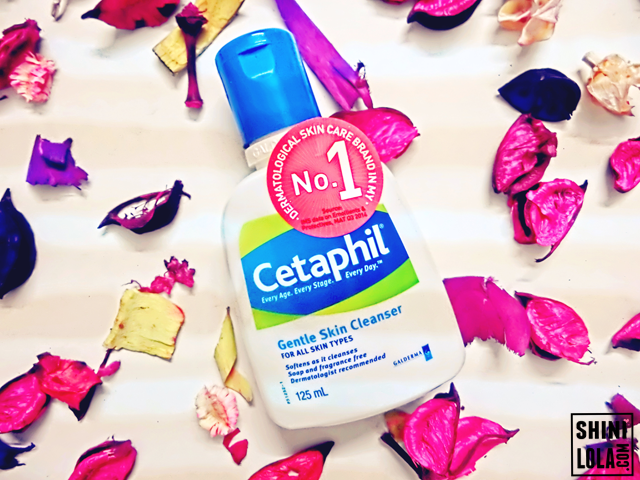 Cetaphil's range of cleansers meet all of the above requirements and are well-tolerated in infants with diaper dermatitis and effective in removing debris without drying or irritating the skin. 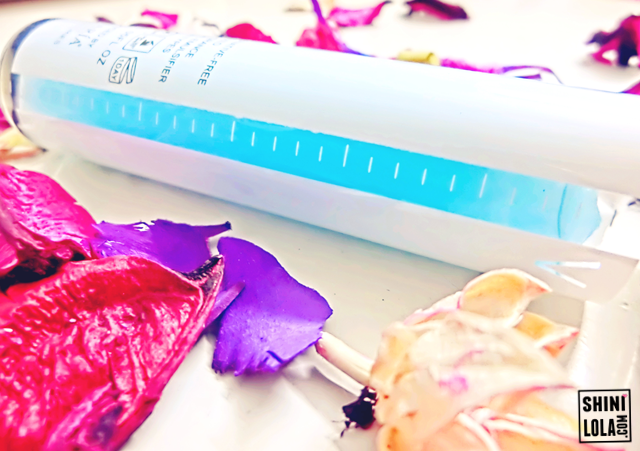 Moreover, the cleansing bar and cleansing lotion have physiologic lipid emollients and the correct pH level to help facilitate barrier repair for even highly irritated and acutely inflamed skin. This helps to improve significantly the dryness of the atopic skin to improve the itching. Wash in bath containing cool boiled water or physiological saline. Avoid cleansing during the first 4-6 weeks. Can be cleaned in water using a gentle cleanser eg. 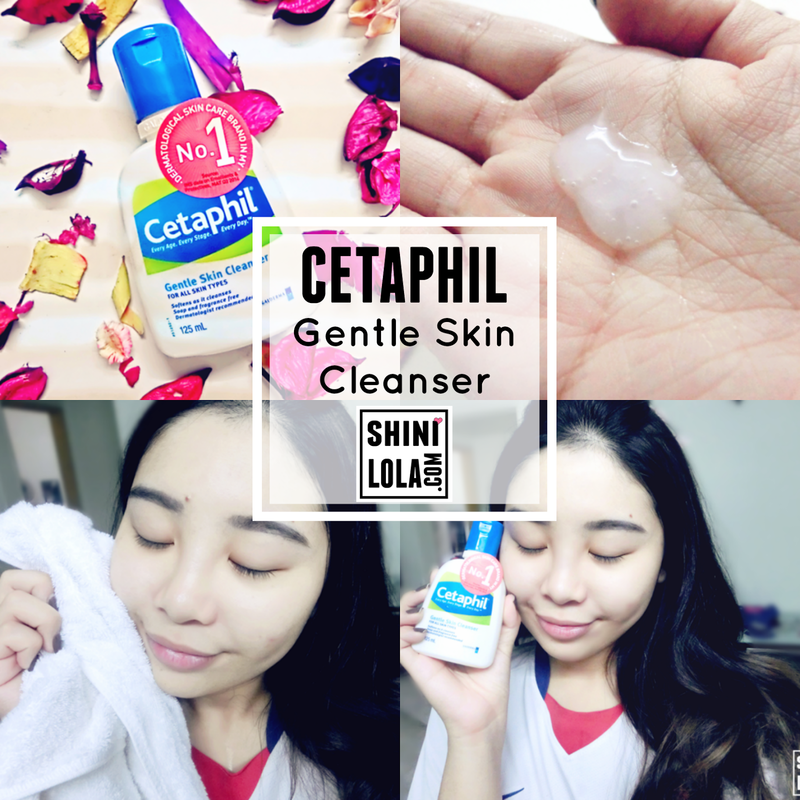 Cetaphil Gentle Skin Cleanser with a neutral or slightly acidic pH and moisturizers or emollients. 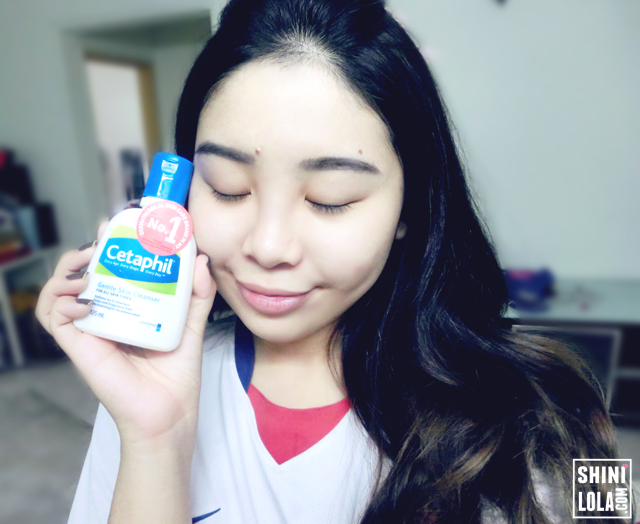 Cetaphil cleansers and moistuizers for babies and young children can now be found at Guardian, Watsons, Caring, vitaCare, Aeon Wellness, hospital pharmacies, clinics and other major independent pharmacies. I'm quite excited about this movie because I'm consider a fans of The Conjuring and I blogged a review on it before (LINK HERE) I also like to watch horror doll movies such as the clown in Poltergeist I, Dead Silence, Chucky etc. 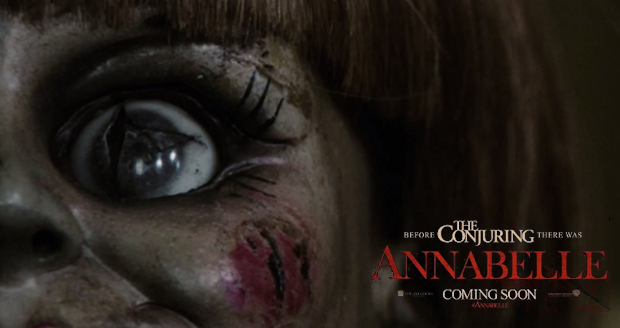 Frankly, I don't think Annabelle doll was creepy at all. I only thought about its size. 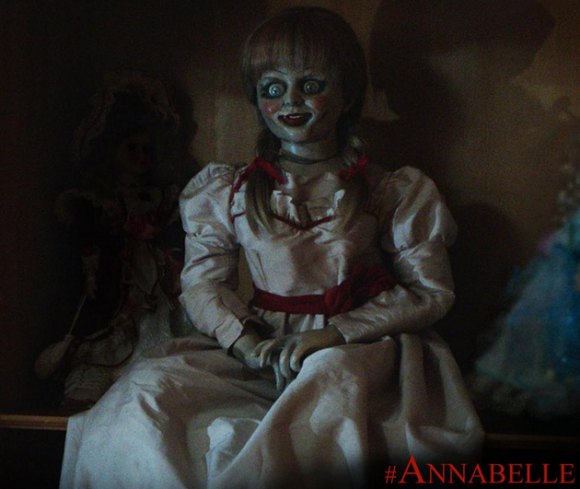 The film began by providing a little backstory about Annabelle, as told by the nurses who claimed the doll was possessed by a spirit. This provides a solid base for “Annabelle” which bring us back to the days before the doll was possessed, or rather manipulated by a demon. Set in the 1960s, the origin story of “Annabelle” revolves around a young married couple, Josh Gordon (played by Ward Horton) and Mia Gordon (played by Annabelle Wallis) who has recently moved in a new house after Mia got pregnant. Who's the hell want to collect this kind of doll!? And because Mia is pregnant with their unborn child, John the weirdly cheerful husband decided to surprise her with a present. No prizes for guessing but yes, it’s that vintage doll in the trailer. But who in the right mind would want to keep that creepy-looking doll as part of their collection? Exactly. We were surprised that John didn’t even feel a slight bit worry or scared about the doll because that doll just gives off a creepy vibe. The couple seemed unfazed about the doll and apparently Mia was even thrilled to receive the doll as part of her doll collection. What seemed like a peaceful night spun into a horror spiral when the neighbour next door was killed by their demon-worshipping daughter, Annabelle Higgins and her crazy boyfriend. And you guessed it, the crazy couple managed to invade their house and almost killed Mia before the police arrives on scene. For some unknown reasons, Annabelle locked herself in the baby’s nursery room and slitted her throat while holding Mia’s new doll. First time saw Annabelle widely open her eyes! 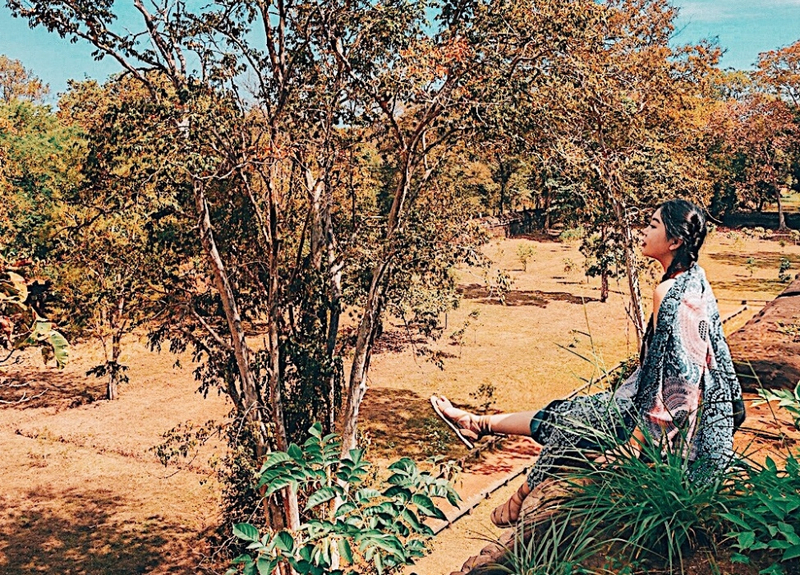 The is the scene that Annabelle was started to moving and flying. This is the scene when Mia keep on hitting Annabelle and the demon make she thought it was actually her baby. This was my only one favourite scene in the entire movie because other scary scene was predictable. Unfortunately, Mia's expression was too stiff when Annabelle Huggins run towards her. In fact, this wasn’t the only jump-scare scene because at one point, there was an elevator scene that “elevated” the film to its climax. We won’t spoil it for you but the elevator scene almost felt like an Easter egg in the film. There were a few close-ups on the doll as well that may create a lasting memory for the audience as the doll stares right into your eyes. 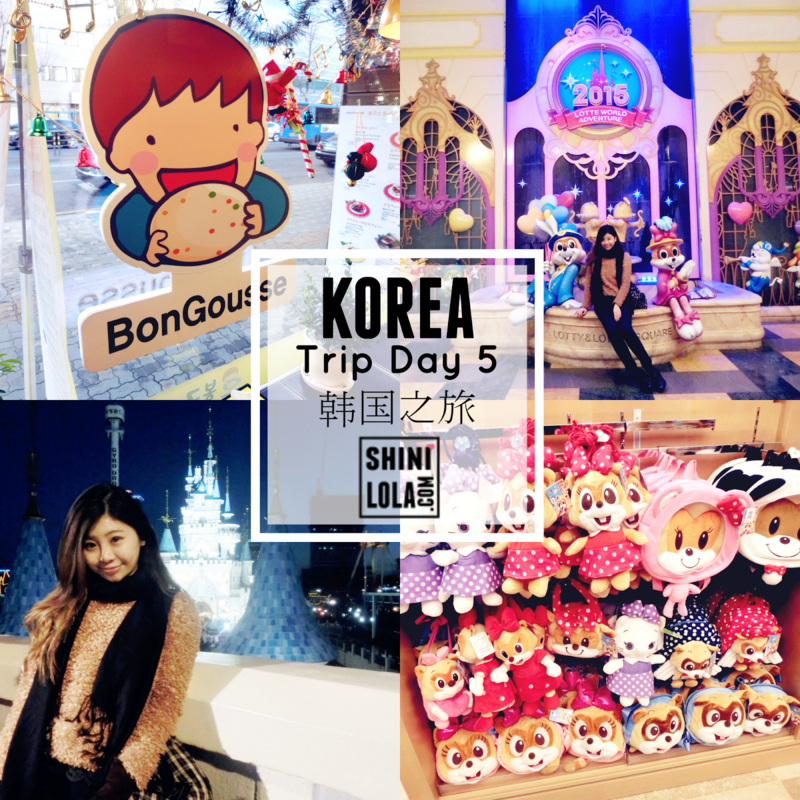 You know right~ We have many special season / event within the 365 days. This means we need giving out gifts for the loved one especially our lovers. Just a small gift will do because they know you are sincere. 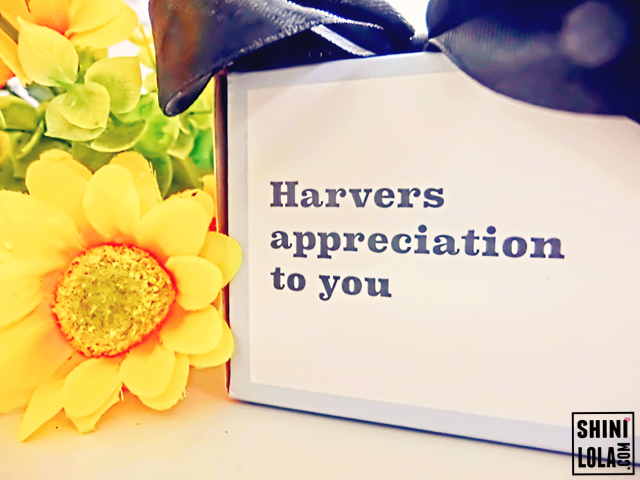 So, why not thinking about Harvers when you plan to give some lovely present for your friends and family. Let me introduce you the star of the day - Harvers. 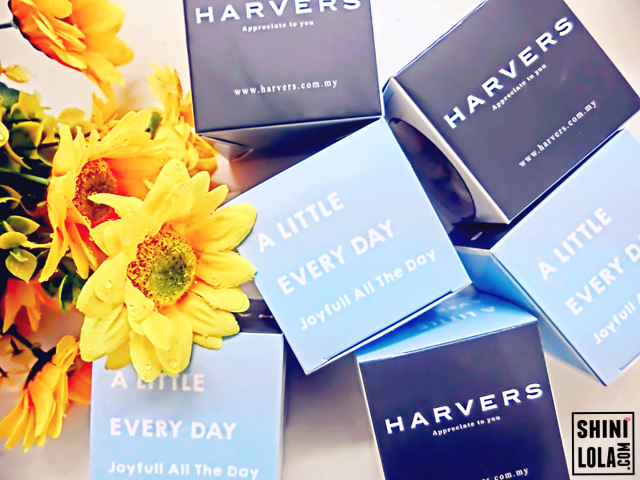 At Harvers, they only wish to make you and your loved ones happy and feel appreciated, because they believe that happiness is the key to success. In addition, their value is simple and is well illustrated in their slogan; ‘Appreciation to You’. 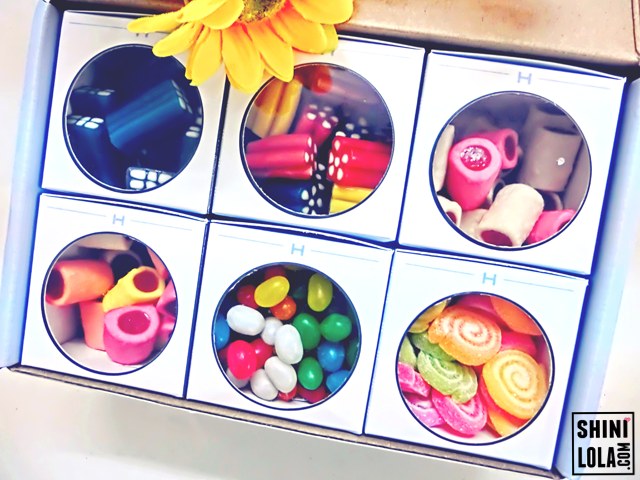 They offer yummy solutions for your sweet tooth with our wide range of candies, gummies, plums and snacks. 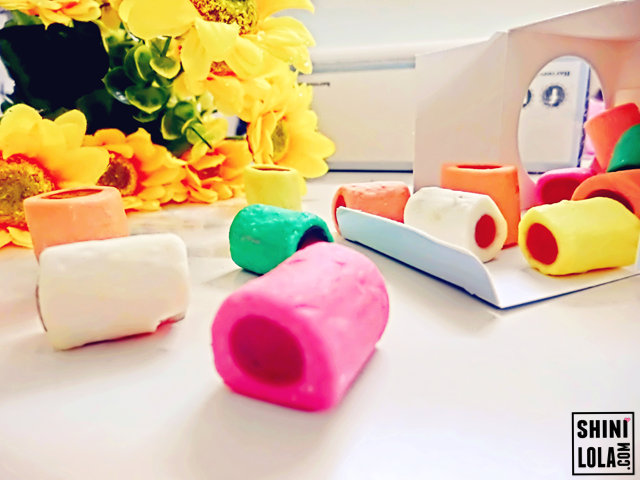 Made with delicious fruit juice and all natural flavours with no added preservatives and colouring, you will be totally hooked on these fruity chews. They also create customization gift packages regardless of any season and reason, so as to cater to all kinds of gifting needs of each customer. 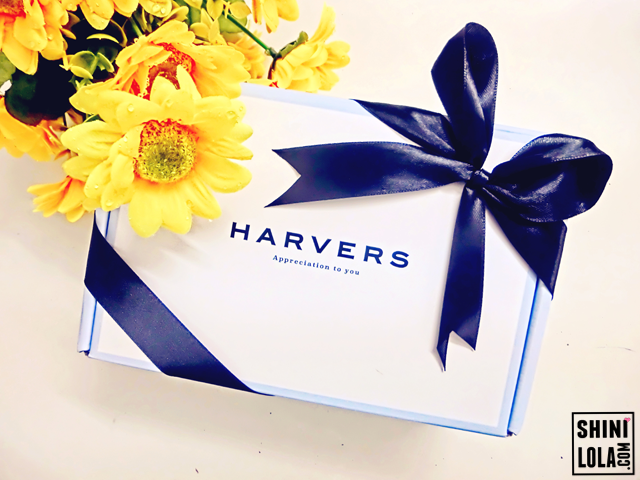 Be it for birthdays, anniversaries, Valentine’s Day, corporate events, baby showers, weddings, thank-yous, housewarmings, official openings of new businesses, or expression of heartfelt congratulations on work promotions etc, so long you celebrate it, Harvers will put a smile on your loved ones’ faces with our specialised gifts. 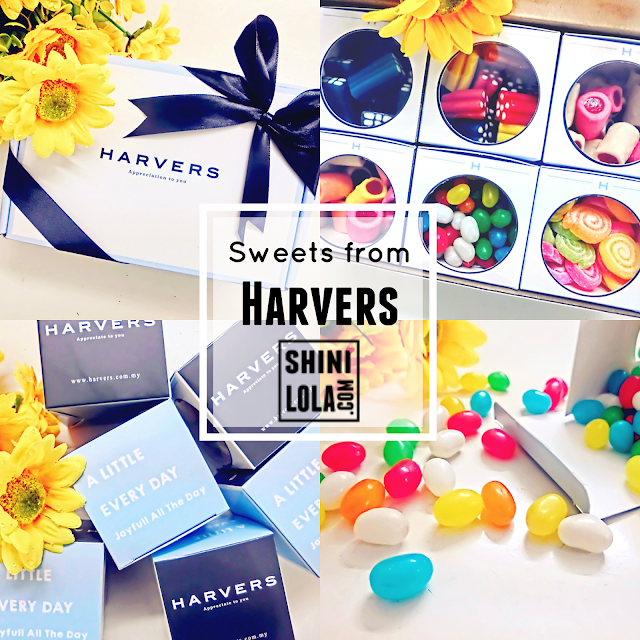 Every single gift box is custom-packaged and beautifully crafted to maximize your loved ones’ delight and amazement. 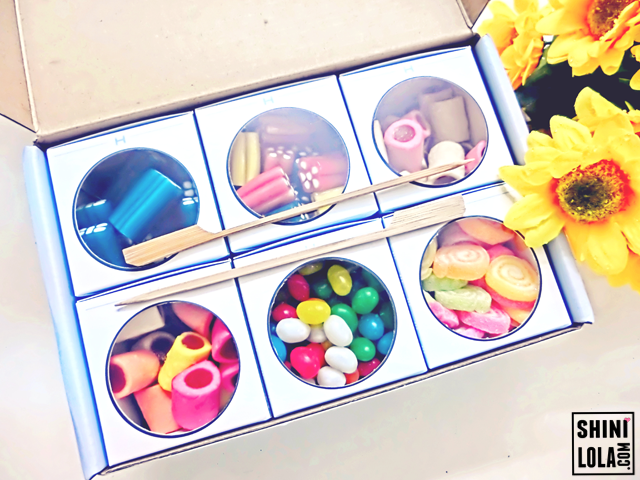 You can either choose the set in which there are six types of sweets, or the set whereby you can custom-select all of the six types of sweets. Either way, there are a lot of possibilities! Awww....They are so lovely. 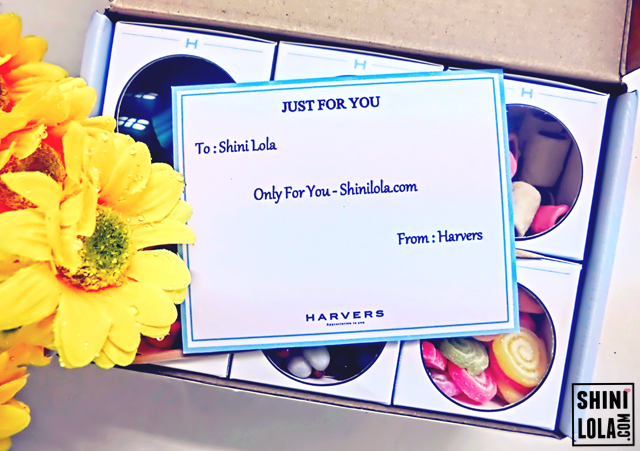 You can always ask them to put customized message for you loved one. Ta-da! Here's my candies and the complimentary 2 toothpicks for us to poke the candy. 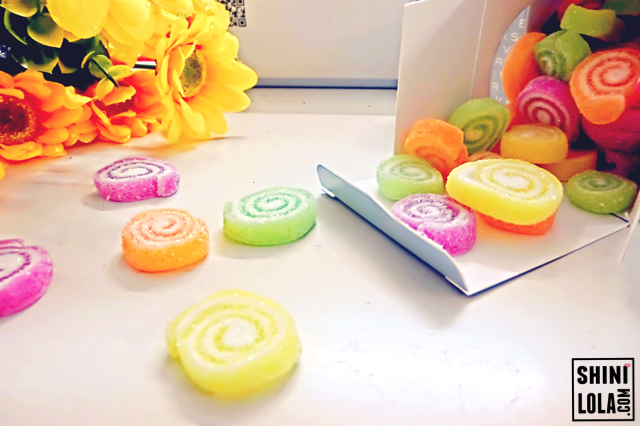 These colourful candies just makes me happy. After you took the little boxes out of the big box, you can just put it any place you want or even carry it anywhere because the size is small & it placed in a cute box(not by jar). 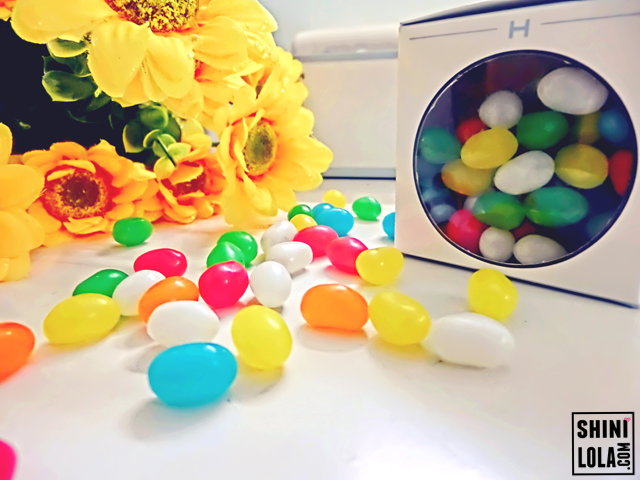 These fruity jellybeans are made with enticing flavours and colours. Freshly-picked flavours include strawberry, pineapple, lychee, blueberry and kiwi fruit. 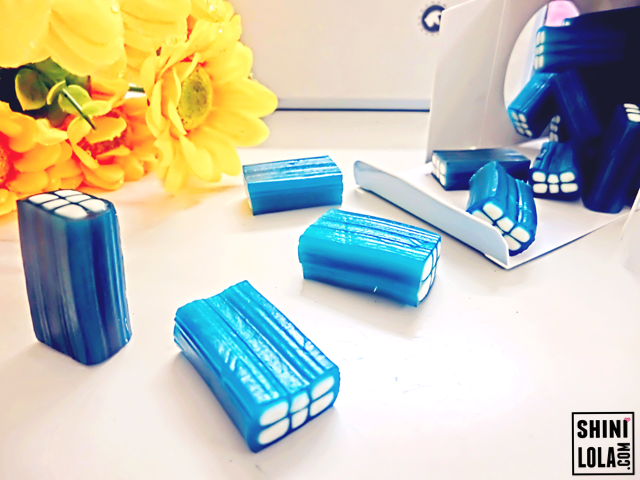 Dressed up in elastic bright blue and glossy appearance. 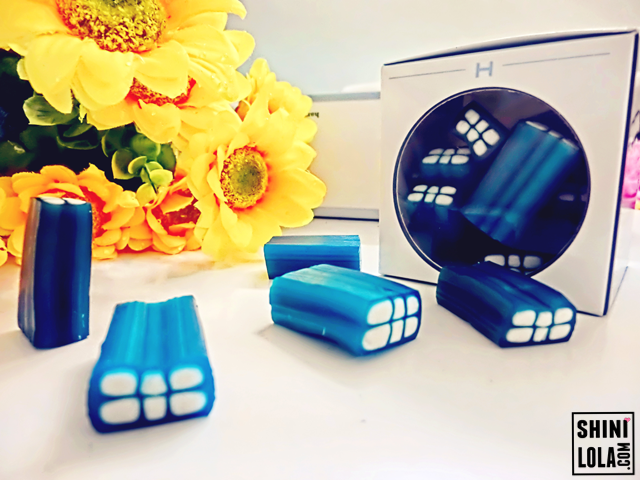 These bright blue with a exhilarate raspberry flavour, smooth and satisfying chew. then melt in the mouth with a excitement and pleasure associated with amusing. These rare gummies are imported from Germany. Comment : When I think about blueberry flavour, I thought it will be in sour taste. Surprisingly it's not. It does taste sour but not too heavy. It was a little bit chewy. I guess is because I'm wearing braces so I can't really chew it apart with ease. Dressed up in soft delightful flavours of milk and strawberry appearance. 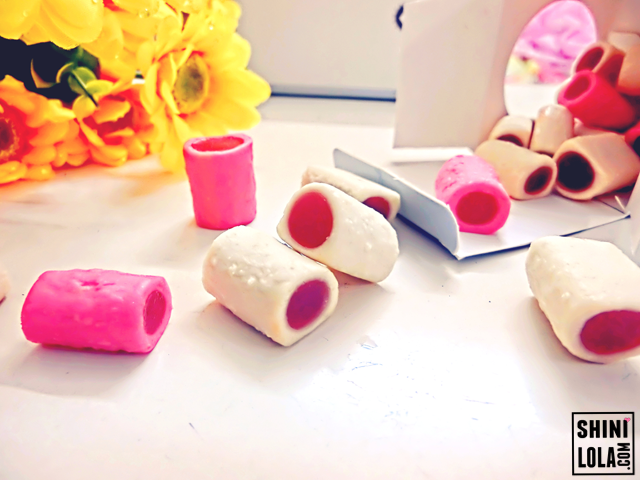 Infused with a elastic happy strawberry jelly core, smooth and satisfying chew. Comment : I like the strawberry flavour but I'm not a fans of milk flavour though. 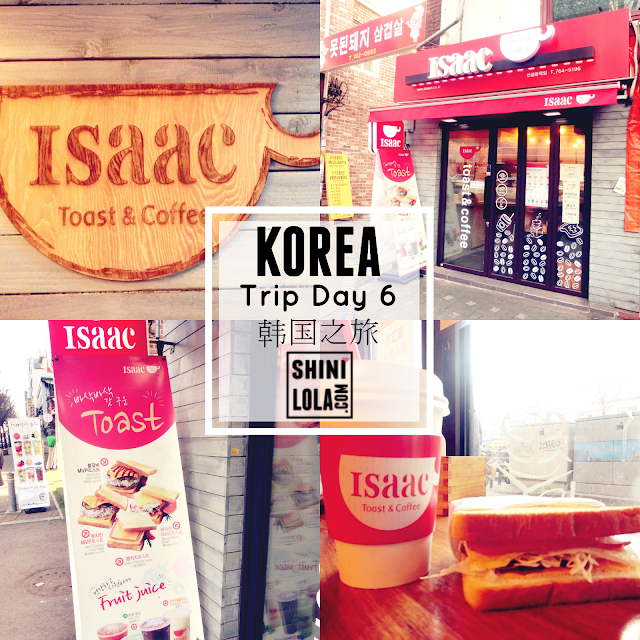 Fortunately the milk taste doesn't really heavy so at least the taste of strawberry able to cover it. green apple and lemon flavour, With elastic bright and glossy appearance, smooth & satisfying chew. 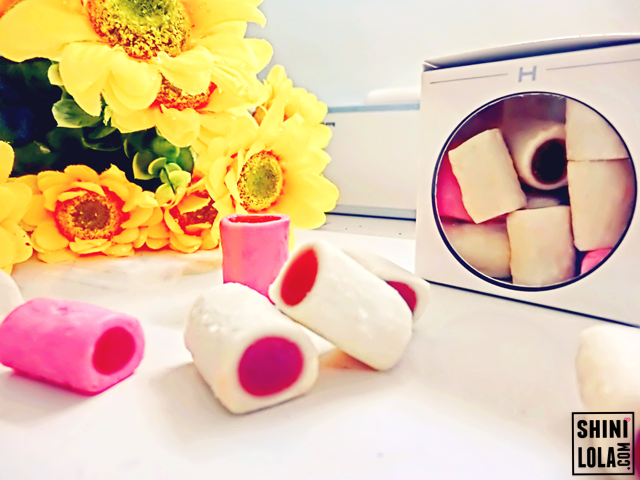 Each flowers infused with a scrumptious milk flavour core, these aromatic gummy goodness start out sweet, then soften in the mouth with a beautiful and delicate associated with exquisite. Dressed up in soft delightful flavours of orange, lemon, strawberry, watermelon and milk appearance. Comment : This one would be more sweet than the previous one. No worries, they are not so sweet though, They actually taste like "sugus" which is the candy that I used to eat when I was a kids. 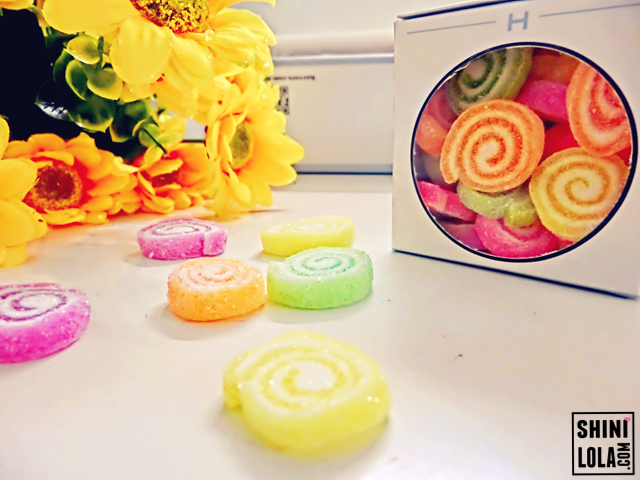 You can't help but fall in love with these soft and sweet snail shell jelly, in flavour of kiwi fruit. 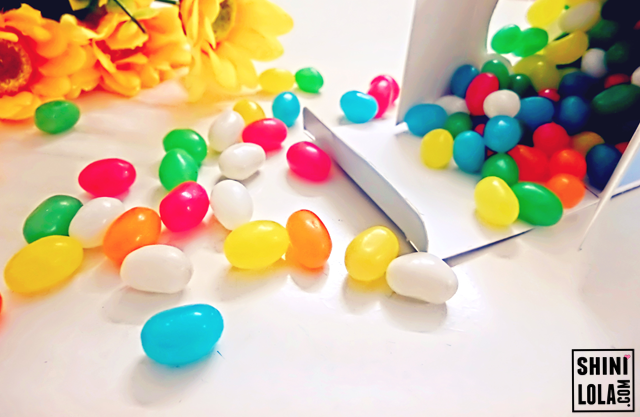 Juicy and not too sweet, each box includes green, yellow and pink colour. These sweet gummies contain such intense Kiwi flavour we sometime confuse them with the real thing. 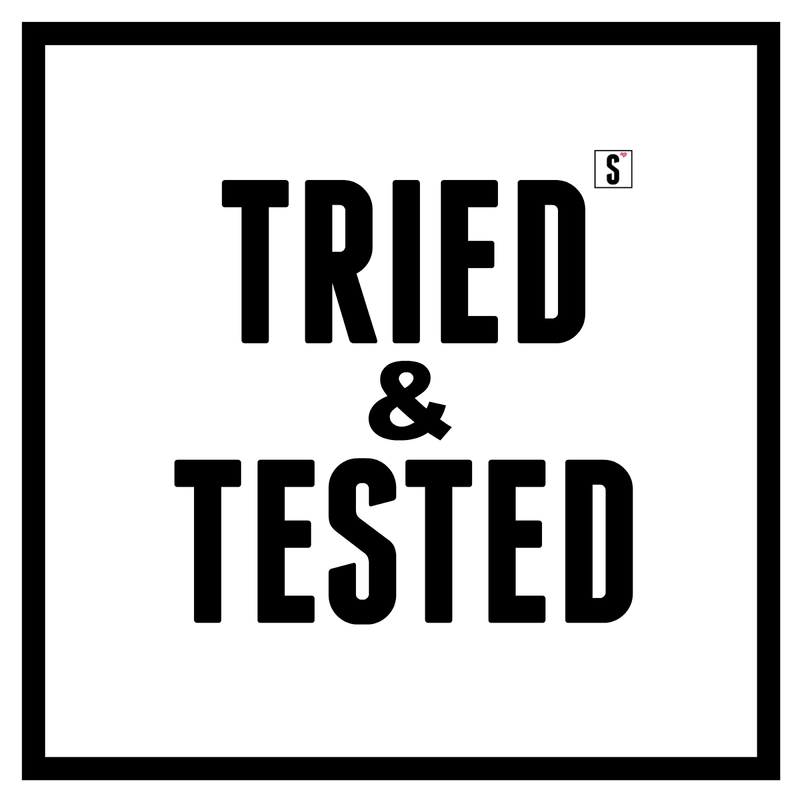 Have you tried different types of liquid, essences, lotion or cream, but there is no improvement on your dull skin. 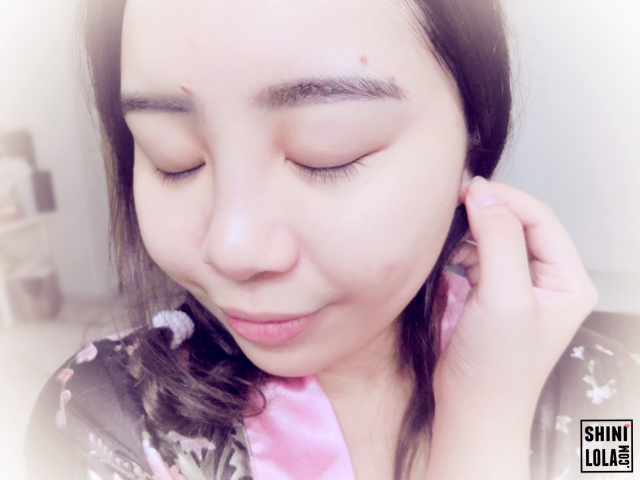 melanin, fine lines and spots? That's because you might using the wrong products or should I say the product which is not suitable for your skin type. 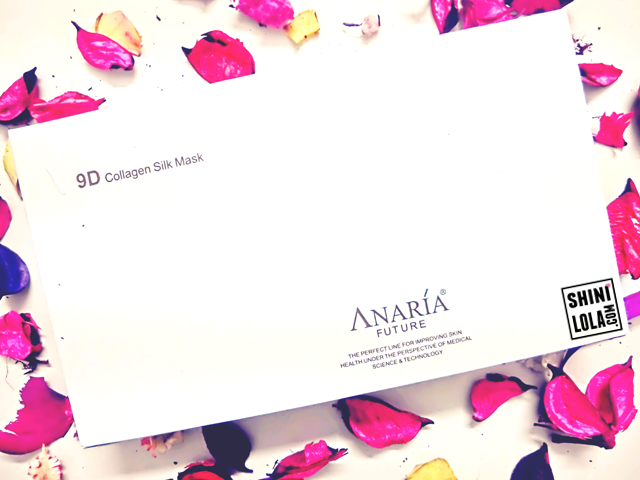 No worries, today I'm gonna introduce you girls a mask which is suitable for all skin types. 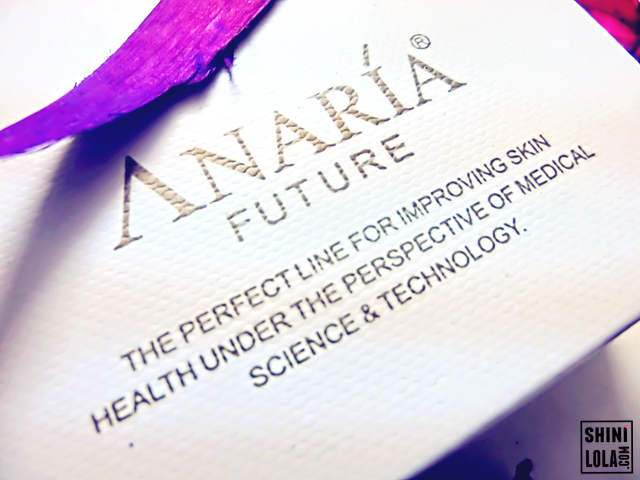 Few days ago, I received a lovely box from Anaria Future. 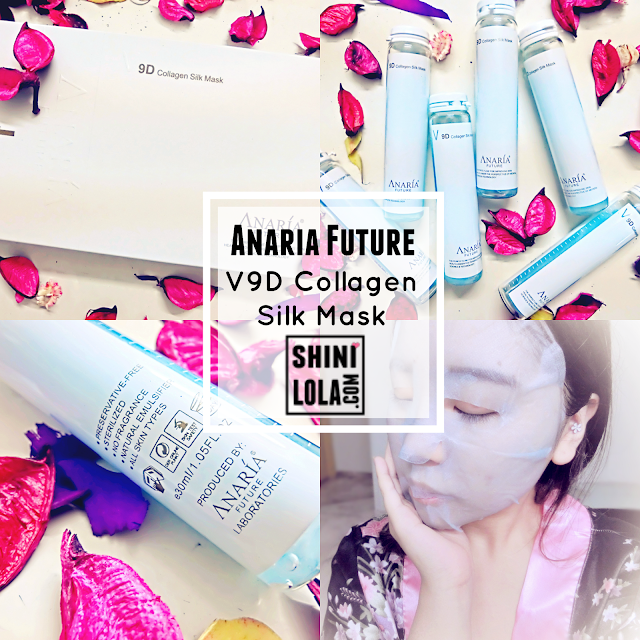 Let me introduce you - Anaria Future V9D Collagen Silk Mask. 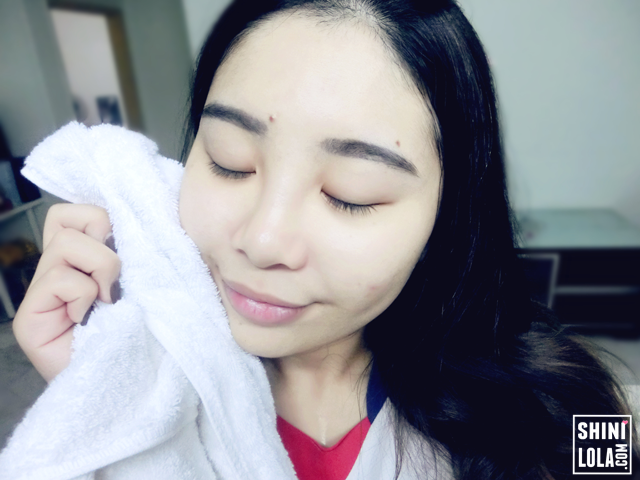 I was so excited because it was my first time to a mask which is soaks in a bottle with ampoule. I can't wait to see how the result is after I applied. For your info, Silkworm's (antheraea yamamai Guerin-Meneville) silk origin from French gives you a total comfort skin experience. 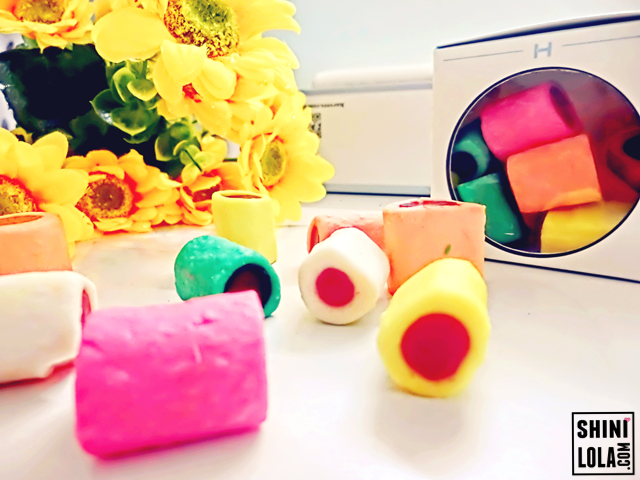 Silkworm's silk main composition is protein, its nutrients higher than the others. Silkworm's silk is known as "diamond" in the silk category and is famous in European Aristocracy. If you're curious why there's an arrow, well, it's directing you to slide the box in order to open it. Ta-da! Here's another box without the cover. In the box, there are total 6 ampoule tubes with mask and the last box is a clip. Why they use Ampoule tube to soak the mask? Ampoule nitrogen active packaging technology and was 100% preserve active ingredient. Ampoule vacuum tube is commonly use as Europe's medical-grade packaging materials, with extreme nitrogen preservative technology it effectively preserve the active ingredient and completely integrate the Complete Solution Dazzling Test Tube mask with the active ingredient within ampule tube, adheres perfectly your skin with the active ingredient and leaves your skin youthful appearance. 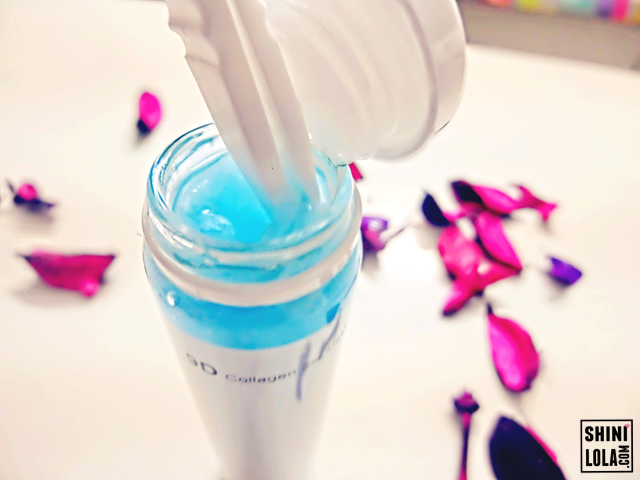 In addition, they also using active live peptides 639 complete solution test tube mask? Peptides content determine your skin structure. Active live peptide is needed for white radiant skin. 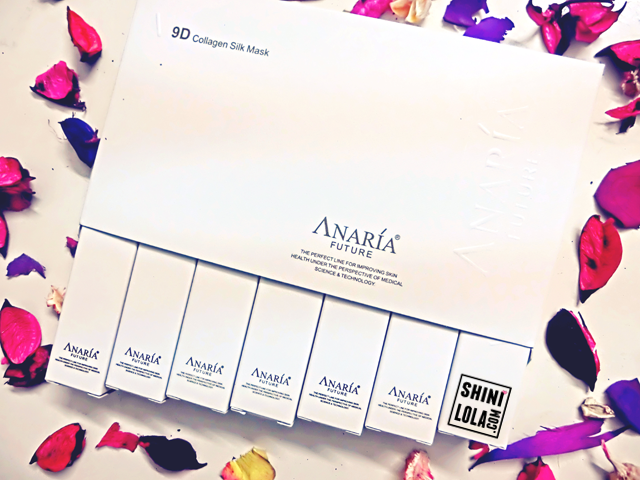 International Skin Research Centre study show that women gradually lose their peptides content when their age turn to 18, skin problems derived from the loss of peptide. Peptides is naturally biological molecules exist between protein and amino acid, peptides contain a big families and most of the peptides families can be synthetic artificially, 639 peptides are famous in its natural synthesis and also known as peptides nobility. 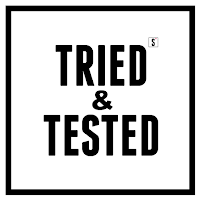 European researchers proved in numerous skin test that 639 peptides not only has the high ability of self-repair, it also significantly boost skin metabolism, anti-oxidation, scarification, and restrain melanin composite. So, what exactly 639 Peptides stand for? 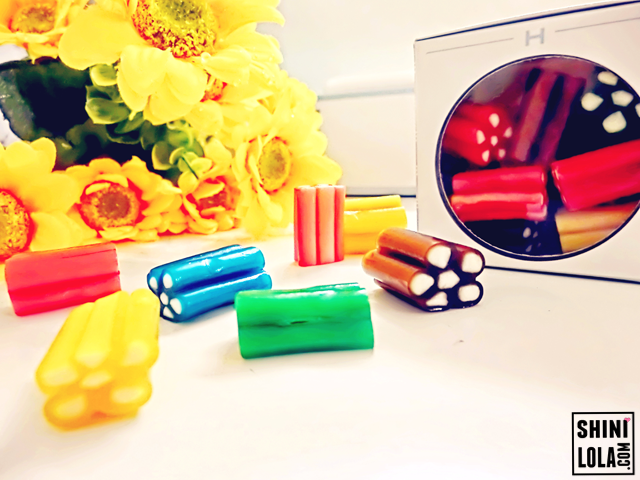 ❀ 6 - Hexapeptide replenish moisture and improve elasticity. 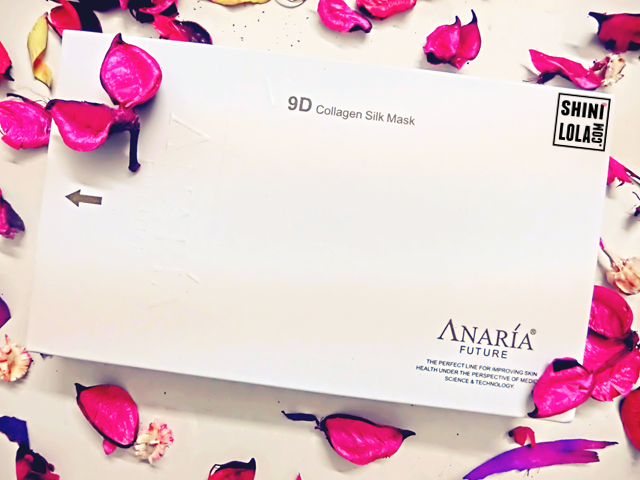 It promotes synthesis of collagen, enhance skin elasticity, deeply hydrate and smooth your skin. 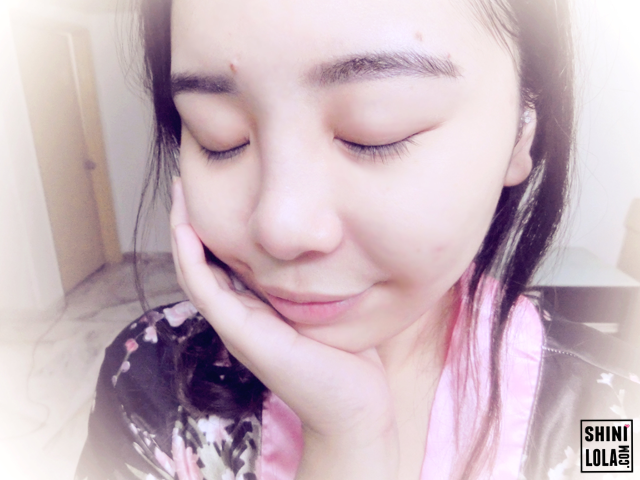 ❀ 3 - Tripeptide reduces wrinkles and stop aging. Enhance skin metabolism, anti-oxidation and scarification, defer-aging, also known as growing factor. 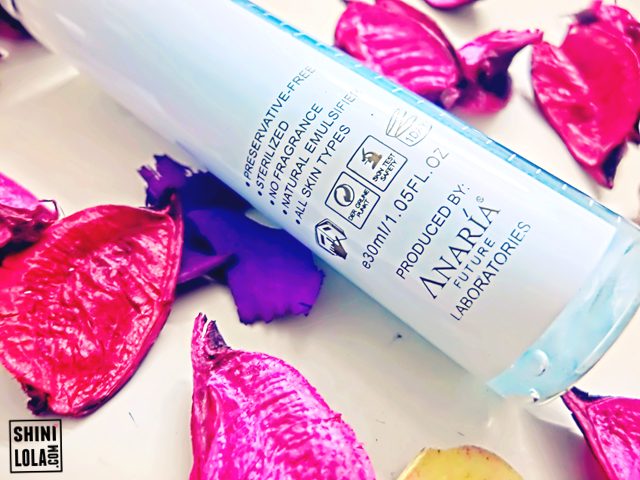 ❀ 9 - Nanopeptide fade pigmentation and whitening. Block the melanin synthesis at the first stage and cause inverse synthesis to leave skin white and translucent. The baby blue colour appearance makes me so excited when I tried & tested on it. This was the clip that I was talking about. The purpose of this clip is using it to take out the mask out of tube, Remember to be gentle. 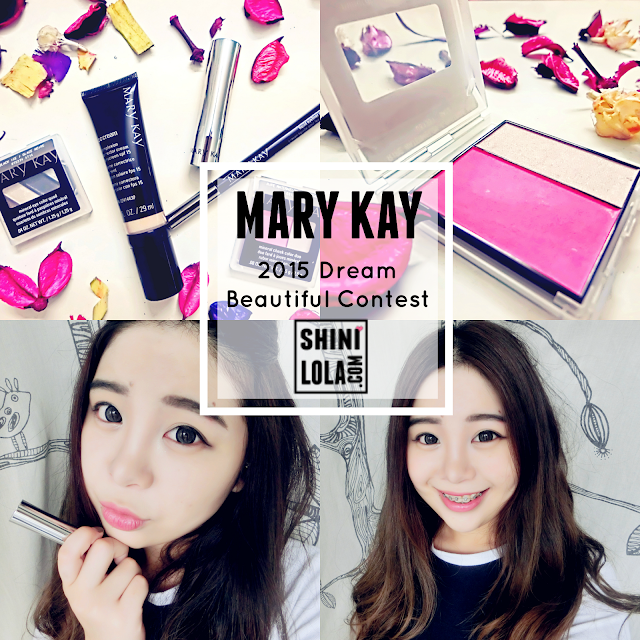 The colour of the mask was slightly blueish and it giving me cool sensation when I'm applying. Please note that the mask was covering even your mouth! LOL~ This would be my first time to tried on a mask which is covering even my lips! Just apply it for 20-30 minutes will do. 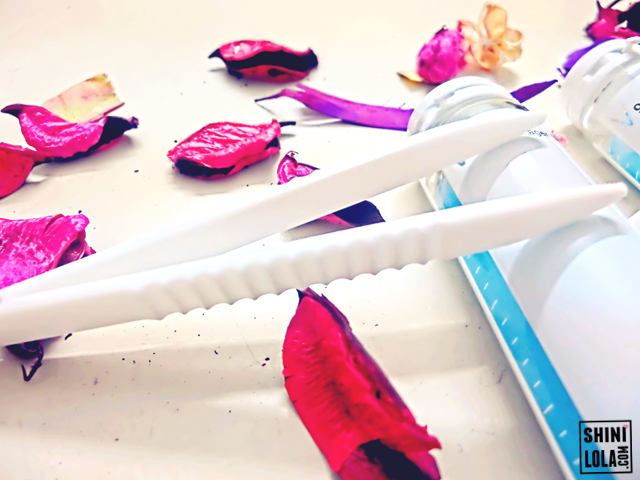 After you take out the mask, there are still many remaining essence in the tube. I pour it out to apply on my legs and hands. So this is the final outcome! My face was shine bright like a diamond! When I mean shine, it's not like the oily shine. My face was actually glowing and radiant. And guess what!? The best thing was my skin still remains radiant and glowing even on the next day. 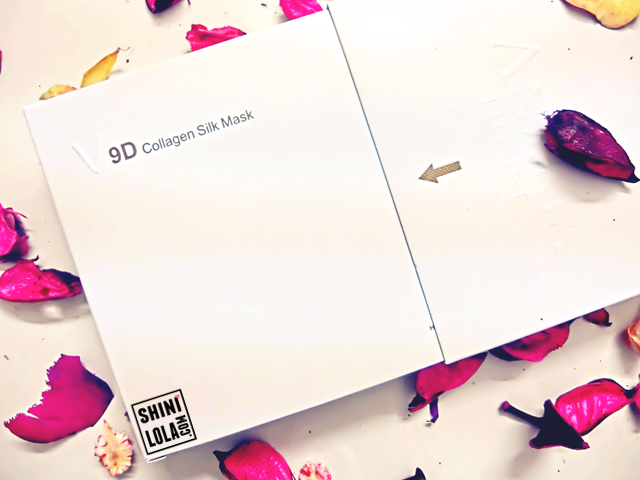 It cost RM168 (6pcs/box) which I can affordable because nowadays some good mask might cost at least RM200 and above. 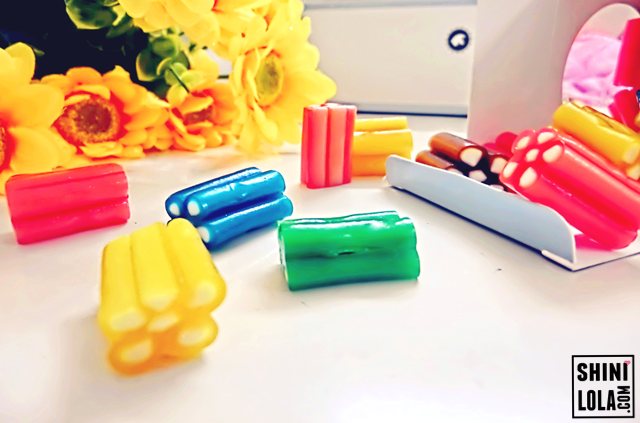 You can imagine if divide by 6 tubes; it only cost less than RM30 for each tube. Trust me, the price worth it.